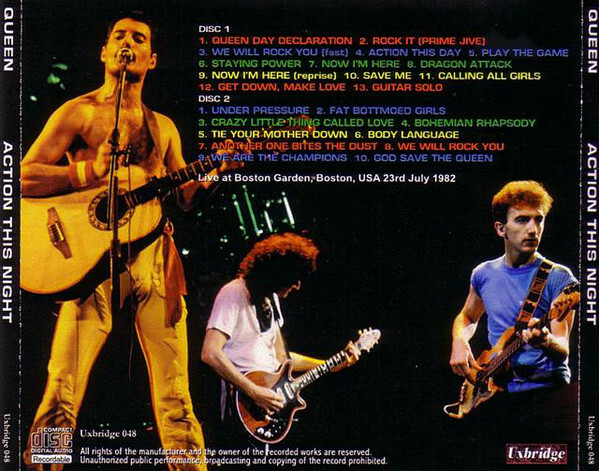 Recorded: Boston Garden, Boston, USA 23rd July 1982. Comments: New show out on pro-bootleg for first time. From the US "Hot Space Tour 1982". Nice release from Japanese Uxbridge label. I guess a limited release, which is normal for this label. Roots: Sounds like a 'close up to master' source has been used on this pro-bootleg release. Previously unreleased show on bootleg. Tapes & private cdr has been around for a while, but the tape source used on thisone is acceptable for listeners. 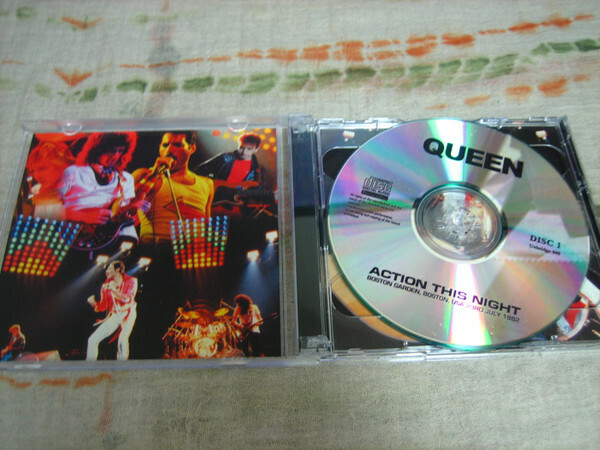 There is a Officially DVD from the HOT SPACE 1982 tour, which included more than less the same track as the bootleg on this page. - ON FIRE- Live AT The Bowl DVD, 2CD & 3LP vinyl album. 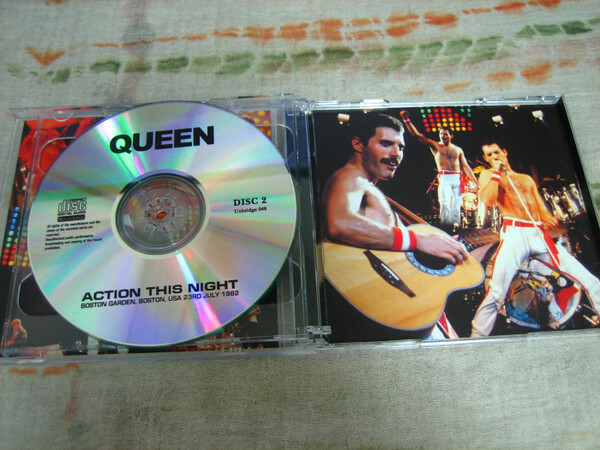 Released worldwide by Queen production. 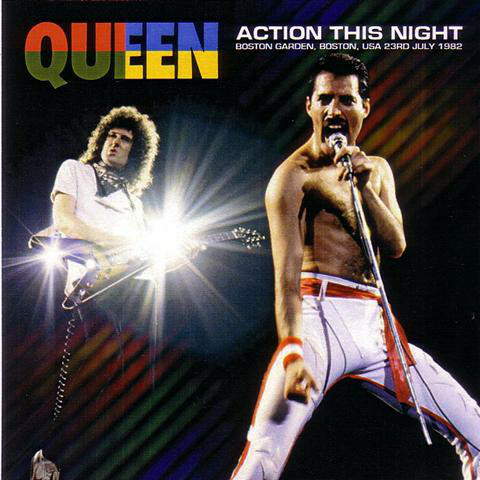 Live from Milton Keynes, (outside London), UK June 5th.1982. This 2DVD release feature interviews & live films from Austria & Tokyo, from same tour. Another VHS & Laser disc is also released in Japan only. LIVE IN JAPAN 82. 60 minute film from Tokyo show on Nov. 3rd. (last date of the tour). You can get the On Fire, Live At The Bowl from regular music & mail order shops.